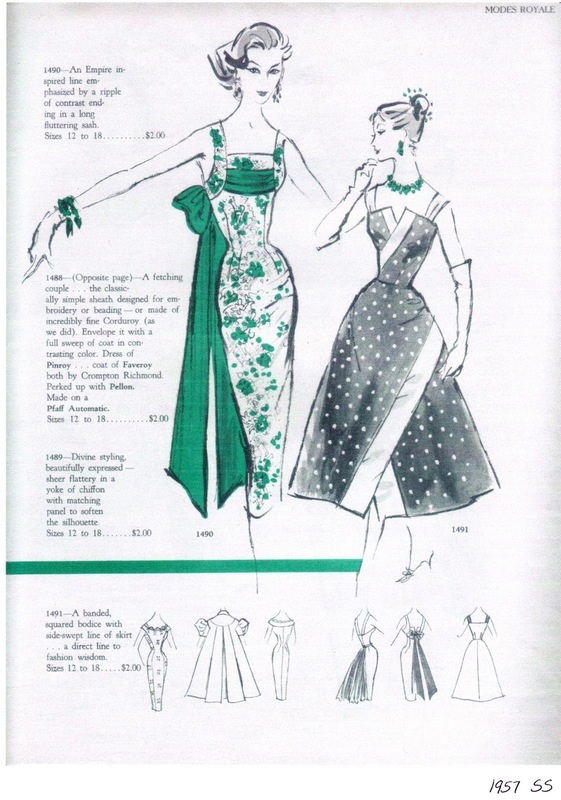 This dress was inspired by a 1957 Modes Royale design. I love Modes Royale patterns. I have many, many, many plans to make more of their fashions. Don't be fooled by the basic sheath lines. This is not an easy dress to make. The pleated bodice drape, and armholes are very labor intensive. The armholes are hand sewn onto the dress. As you can see, I used the scraps from this fashion to make these sheaths. This is a great design for scraps. The chiffon sash and bodice drape are leftovers too. This dress looks great on Poppy too. It is a little too tight for the Tonner dolls, but I am going to alter the pattern so it can be adjusted to fit the Tonner dolls. I had a lot of fun with Poppy during this photo session. I think this dress would be beautiful in a brocade, or a lace. I may also make a floor length version someday. To purchase this dress click here. Great job on matching the fabric! I love that you used Poppy as a model. I have two Poppy dolls now, but a lot of the clothes I have for her are too big. The dress is such a great sixties look!